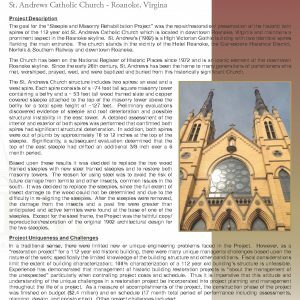 A detailed structural condition assessment of the steeples at St. Andrew’s Catholic Church and a condition assessment of the building envelope of the entire building were performed. 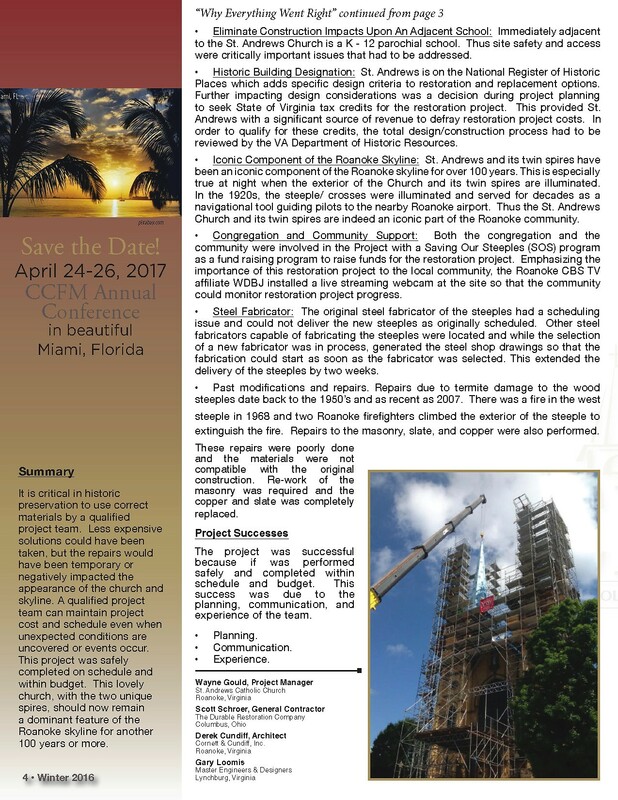 An initial preliminary structural condition assessment of the East Steeple identified major structural deterioration and deficiencies in the wood structure. A visual inspection of the steeple exterior was recommended. This required a crane and man-basket. At this point it was decided to inspect the West Steeple and the roof and brick of the entire building. 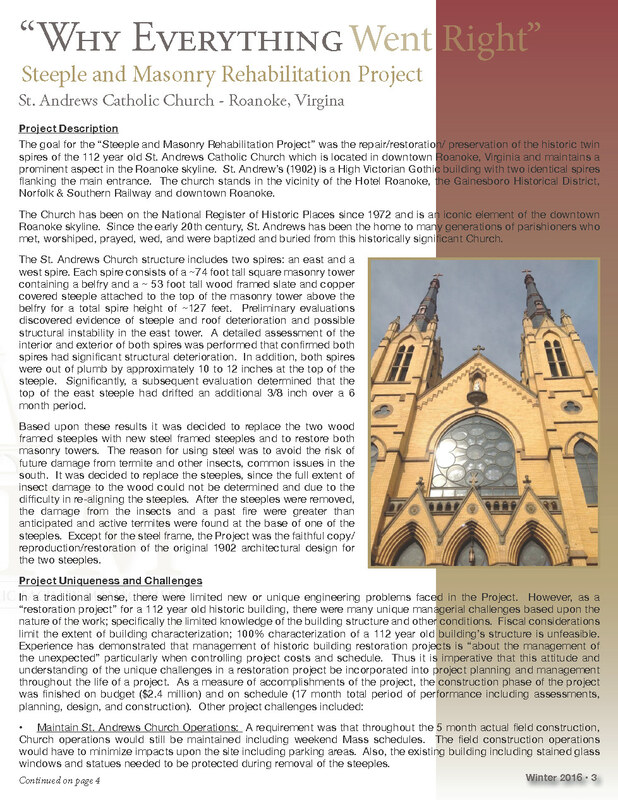 Options and repairs identified included replacing the copper and slate on the steeples, realigning the steeples, repairing/replacing the wood framing, replacing the steeples entirely, and restoration of the masonry. 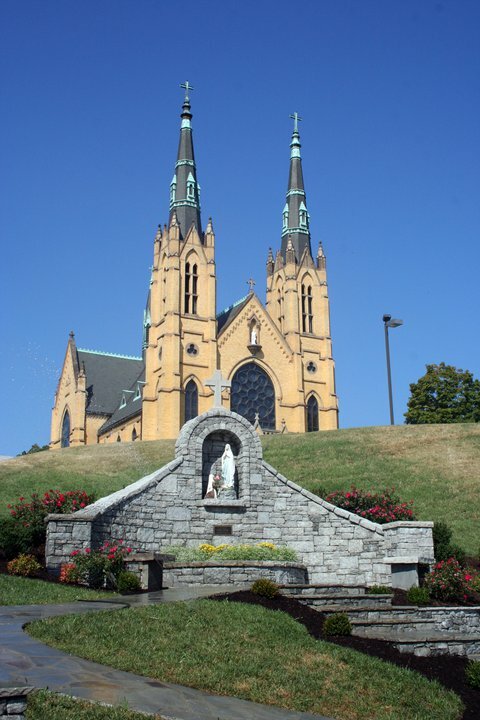 The Church elected to have us design insect-resistant steel steeples. 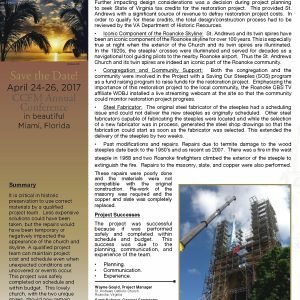 The next phase of this project included design of the new steeples and construction administration for replacement of the steeples and masonry restoration, bid evaluation and recommendation.